Shopian : Terrorists on Friday night targeted a security post guarding minority community in Shopian district of Kashmir, killing one cop and injuring one civilian. 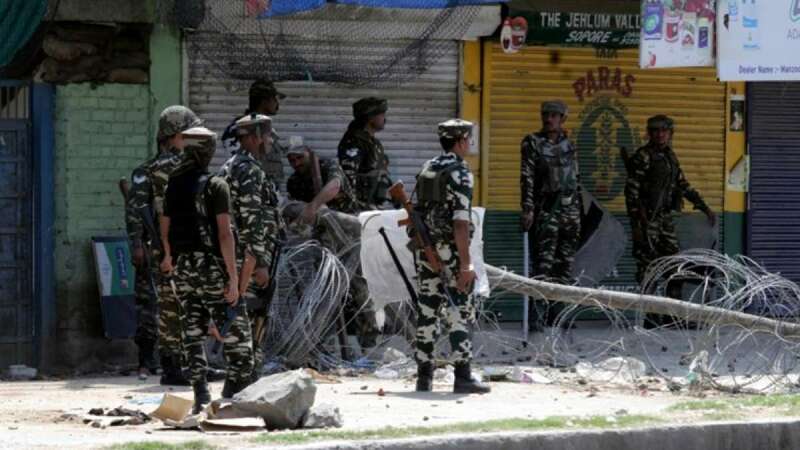 "Militants fired at the police guard posted at minority picket Jamnagri in Herpora area of Shopian at around 8:30 pm," PTI quoted a police official in Srinagar. Cross firing by the cops forced militants to run away from the site. The police have now launched search operation to nab them. In the gunbattle, a constable Nazeer Ahmad was killed and Constable Zahoor Ahmad was injured, the official said. The injured civilian has been shifted to Army base hospital for treatment. # The area has been cordoned off, search operation is on.